For the next year, we’re going to highlight stories about building solidarity across difference. Here’s why. Got a story to suggest? Email me, or leave a comment on the blog. Non-profit organizations don’t usually lean into new technology—here’s a piece arguing we should, particularly when it comes to bots & other AI. Great piece by Alex Rosenblat on how ride-sharing drivers communicate & organize through online platforms. Health care has become the biggest US employment sector. But please, let’s worry about manufacturing some more. Thanks to reader Allison Petonic for sending me this piece, about how Australian union officials are responding to (and using) technology in their organizing work. Uber built a tool to allow their employees in SF to shut down computers in any other Uber office, if government officials came looking for data. What if, instead of having one more cop show on tv, we had a coop show? In an interesting turn of events, the tax bill seems to have created an advantage for agricultural cooperatives over Big Ag. Can AI-infused robots help reduce the use of chemicals in agribusiness? 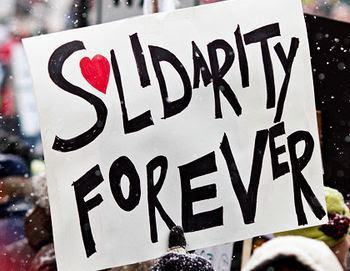 Previous Previous post: Who do you build solidarity with?